Elbow Selfie aka Scott is bored sitting in the car. 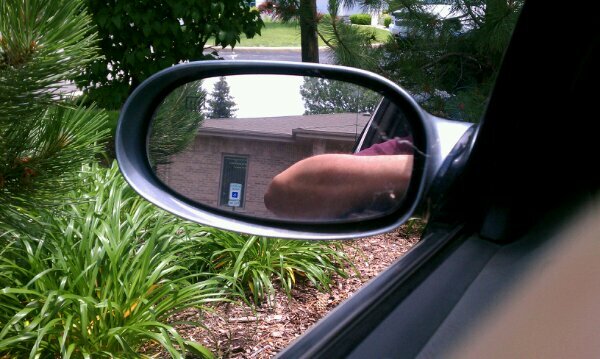 Warning: Objects in mirror are closer than they appear!! !